We are so happy it’s Spring! There’s nothing better than sitting on the patio, watching the river flow, and drinking a cold tap bier! Our patio is officially open, so if you haven’t made it down yet, hurry on in! What’s not brewing?! This will be the month of bier releases, so plan to come down every week! Returning on Friday, May 4th will be the Bier de Garde. This French style Farmhouse Ale is customer favorite and perfect for those backyard grilling parties! Friday, May 11th will bring the return of Momma Monk’s Milk Chocolate Stout on Nitro. It’s so yummy and delicious, you’ll want it for an appetizer and dessert! Craft Bier Week will bring not one, but TWO new biers to our Bier Hall! Releasing Wednesday, May 16th is our brand new German IPA! An old world and new world combo of German malts and American hops, this amber IPA will delight your taste buds! Pair this with a delicious pizza from Foster Cheese Haus, as they will also be pulling in our lot this day! Finally, on Friday, May 18th, we release our Citra Hefeweizen. This will be a German style Hefeweizen or wheat bier made with Citra Hops and Hefeweizen yeast which will give it a truly distinct flavor. Craft Bier WeekMark your calendars for this amazing week! The Lazy Monk Eau Claire Passport Punch Card Promo: Travel around Eau Claire and visit several amazing places for a chance to win the Grand Prize Summer Bier Cooler which includes a case of your favorite Lazy Monk Bier, summer grilling meats from Mike’s Star Market, and gift certificates to all participating locations – for a total value of over $200! 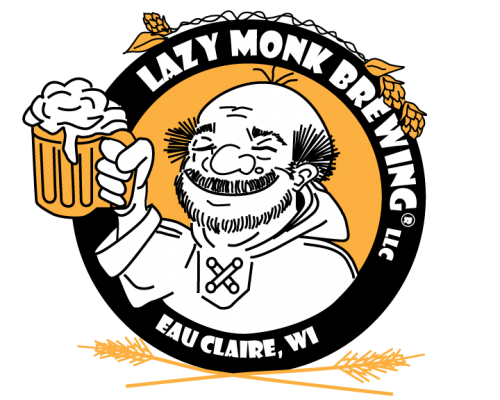 Lazy Monk Party Promo: We know you have a ton of parties planned for the summer, and we are here to help you out. Purchase two 4-packs from participation locations and receive a Free Bier Coupon to be used in our Bier Hall! This promotion will run from Friday, May 11th – Saturday, May 19th. Free Bier Coupons redeemable until June 30, 2018. It’s that time again – time to give our floors a facelift. In effort to clean and polish them, we will be closed on Sunday, May 20th and Monday, May 21st. We will re-open on Tuesday, May 22nd. Join us as we raise the May Pole! Hit up the Hickory Kist Food Truck for some delicious BBQ fixin’s, and then stay for Bingo for Biers and try your hand and dropping a clothes pin into a growler! Finish the night up by relaxing and listening to live music with Sage Leary! In case you were unaware, a few of the common Mexican biers have their roots in Europe, and so we celebrate Cinco de Mayo! Saturday, May 5th, come on down in your favorite festive wear and drink to the 5th of May. We will have chips & salsa, those yummy soft pretzels served with jalapeño cheese sauce, and a special lime infused Cinco de Mayo bier! Marigold Cafe also returns with their delicious warm paninis and gelato from 12-5pm. We continue our travels around the world through the month of May, as well as hosting a few food trucks this month. Please note that on Cultural Food Nights, dogs will only be allowed on the patio while food is served. We will serve from 4-8pm or until food runs out.